Loango National Park is a national park in the land of Western Gabon. If you are an adventurous type of person, this place is where you should go for an extreme experience. Loango National Park is very accommodating park since it will also provide a tourist guide for you to be familiar and convenient with each and every places and animals you might discover inside. Loango National Park is also best for campers who wants to fell asleep staring at the beautiful stars at night with the sounds of crickets. While roaming around, you will be experiencing seeing wild animal, such as elephants eating around the park and monkeys enjoying the park walking along with different kinds of monkeys and many more. Expenses depends on the tourist, but there are lots of very accommodating hotels that offers cheapest rate to stay overnight. Ivindo National Park is a national park in eastern central of Gabon in Central Africa. This is the park where you can catch up those wild animals like gorillas, buffalo, elephant, chimpanzees, crocodile and a lot more. One of the main attractions of the park is the Kongou Waterfalls located in the heart of Ivindo National Park, wherein most of the visitors of this park used to go to Kongou Waterfalls because of its very beautiful scenery. There are also accommodations near the waterfalls and restaurants that offers foods by request. 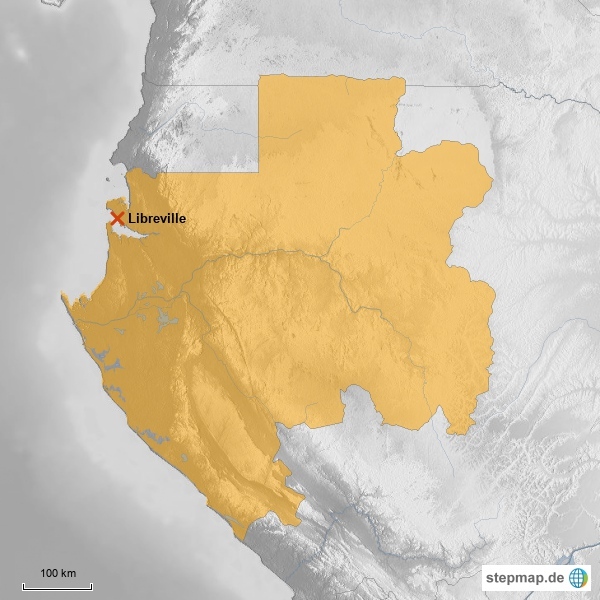 Libreville is the capital and the largest city of Gabon. Libreville is where the largest airport in Gabon, Libreville International Airport, is located. Hotels and restaurants are located everywhere so most of the tourists after landing in the city use to roam around and enjoy Libreville’s beautiful ambience. Point Denis is the best place to spend your vacation, weekends for relaxation due to its beautiful, quiet and calm scene of the ocean and the perfect vision of the sunset. At night, you may experience star gazing while other tourists are enjoying having small party with bonfire. In the morning, on the other hand, you may take a break and try to participate with other tourist who will be having their hiking right of the beach going to the jungle. There are lodges and inns that offers very cheap rates for tourists plus restaurants that offers meals and foods by request, especially seafoods that are deliciously fresh. Reserve de la Lope is where campers usually spend their vacation. This is a park where you can see forest animals like elephants, buffalos, red river hogs and a lot more. There are also birds and other flying animals here that most of the tourists enjoy and its beautiful sceneries. Like other parks, there are also hotels for overnight visitors who do not like the thought of sleeping in tents, and there’s also a hotel where you can see the beautiful stretch of the Ogooue River. Bateke Plateau, which is an ancient volcanic area, is a very large park in Gabon. An interesting fact about this park is it spans in three countries: Gabon, Republic of Congo and Democratic Republic of Congo. Most of the visitors of this park are hikers. The most extinct animal inside the savannah is the male lion or Panthera Leo, plus there are lots of animals that are only seen here. Rivers also rise here like Ogooue River, Lekey River, Niari River, Lekabi and Ndjoumou. Mayumba is a park that protects important species such as humpback whales and the leatherback turtles. The long stretch of beach serves as the largest mating and breeding ground for the leatherback turtles. Most of the tourist enjoys seeing the humpback dolphins in the waters and staring how turtles are heading back to the sea. Lambaréné is a town and the capital of Moyen Ogooue in Gabon. Lambaréné became popular because of the hospital founded by mission doctor Albert Schweitzer. One of the most visited places here in Lambaréné is the museum of Albert Schweitzer, where all of his works and achievements were posted. St. Michael Cathedral became famous because of the blind craftsman of Gabon, as he carved 31 unusual wooden columns wherein each of it has a biblical scene. The church is very quiet and very simple. The cleanliness of the church, especially its surroundings, is what attracts tourist as a lot of them are having their picture taken in front of the Cathedral for souvenirs. Pongara National Park is one of the most accessible parks in Gabon. Its beach is amazingly beautiful because of the white powdered-like sand, while mangroves in it made it more perfectly stunning. Not only the place is beautiful, but also the people that are very accommodating who will help you with anything you need. Tourist can also ask the locals around the beach to take them to the forest to experience and witness the other side of the beach, where there are animals walking and roaming around. Surfing is one of the activities tourist might enjoy here.